Is based on the physical, mental, emotional, and cognitive development of children and adolescents. Each stage reflects a different point in athlete development. Ensures that optimal training, competition, and recovery programs are provided throughout an athlete’s career. Provides an optimal competition structure for the various stages of an athlete’s development. Adopting a player-centered approach and not treating the development of all players the same way. Hockey is a late specialization Sport – It Takes Players a lot of Years to be Great. Early involvement in the FUNdamentals stage is essential in late specialization sports. 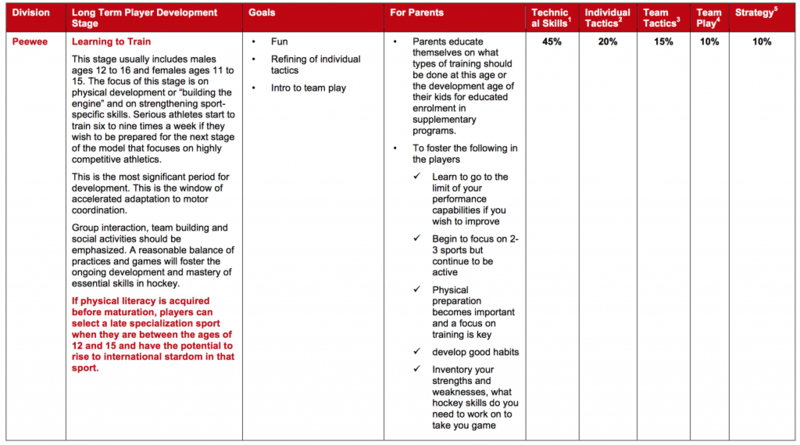 Specializing before the age of 10 in late specialization sports like hockey can be detrimental to the player. Lack of ABCʼs, the basic movement and sports skills. TECHNICAL SKILLS means the fundamental skills that are required to play the game (e.g. skating, shooting, passing and checking). INDIVIDUAL TACTIC means Action by one player using one or a combination of technical skills in order to create an advantage or to take away the advantage of an opponent. A tactic may be classified as offensive or defensive (e.g. 1-on-1 offensive fake and driving to the net). TEAM TACTIC means a collective action of two or more players using technical skills and / or individual tactics in order to create an advantage or take away the advantage of an opponent (e.g. 3 vs.2). TEAM PLAY SYSTEM means a pattern of play in which the movement of all players is integrated in a coordinated fashion in order to accomplish an offensive or defensive objective (e.g. 2-1-2 forechecking system). STRATEGY means the selection of team play systems in order to impose upon the opposition, the style of play and tactics which will build on the coach’s, team’s strengths and neutralize those of the opponent while at the same time taking advantage of the opponent’s weaknesses. For example: when opponent’s defensive players have weak puck handling skills, the strategy might be to shoot the puck in and use a 2-1-2 aggressive forechecking system. Focus on supporting the complete athlete not just the athlete training and competition. Consistency in what the coaches are teaching. 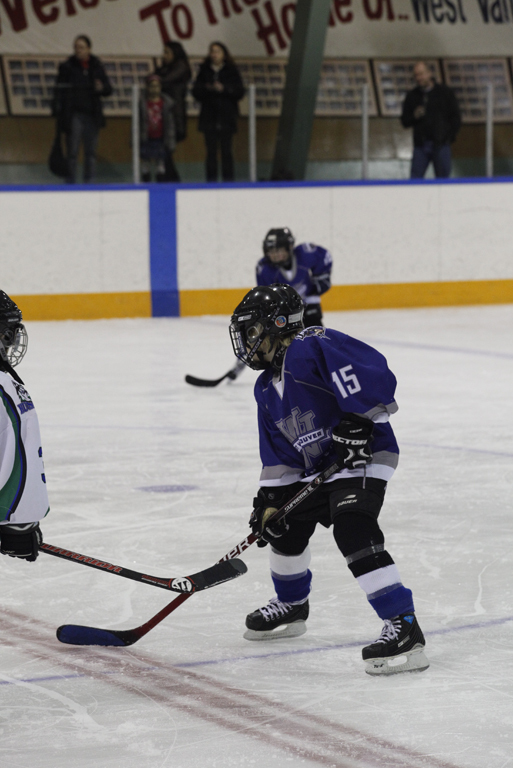 By implementing a standardized technical curriculum and methodology for instruction, your association is building a foundation for athletes to enjoy the game of hockey and reach their potential. While it should be the goal of each team to be successful in their league, the player development process should be at the forefront of each team and this development component must not be compromised.